Should an Engagement Ring Be a Surprise, or Should a Couple Shop Together? 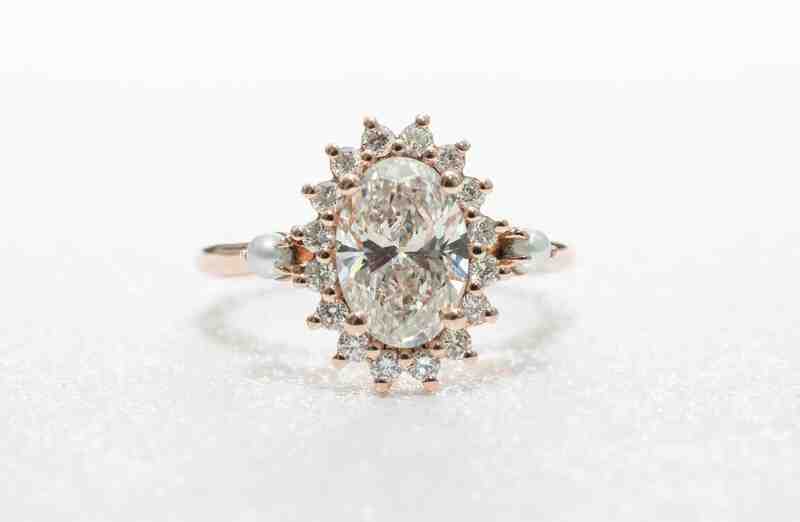 Once upon a time, the expectation for engagement rings was simple. The groom to be went to a store, chose a ring, waited nervously for a while, got down on one knee, and “popped” the question. While there is still a certain romance to this old-fashioned way of proposing, many couples are choosing to shop for the engagement ring together. One of the biggest issues in the debate over whether a couple should shop for an engagement ring together is surprise-factor versus guaranteed-satisfaction. When groom-to-be shops for an engagement ring on his own, no matter how many of the bride’s friends and family members he enlists to help him find a ring she will love, there can still be a lot of doubt whether he has made the right decision. An engagement ring is a very personal piece of jewellery that she will likely wear every day for the rest of her life, and it is a considerable financial investment, so it is a high pressure decision. On the other hand, while shopping together for an engagement ring eliminates the chances of choosing something she would not want, it loses a little romance. Even in the modern world where gender roles are evolving and customs are evolving to match, even the most progressive person knows there is a difference between receiving a thoughtfully chosen gift and getting a gift-card. Many women would perceive a certain lack of thoughtfulness or effort involved in simply choosing their own engagement ring and letting the fiancé pay for it. Luckily, there is a lot of middle ground when it comes to the debate whether a couple should shop for an engagement ring together or leave it up to the boyfriend. Couples can start the process together, especially if they’re interested in custom designing the ring. She can try on styles she likes, give her input, but leave the final decision and timing up to her loving husband-to-be. It may, in fact, be a sign of mature communication skills and promising relationship dynamics for a couple to find a way to work together, compromise, and make an important money decision as partners. 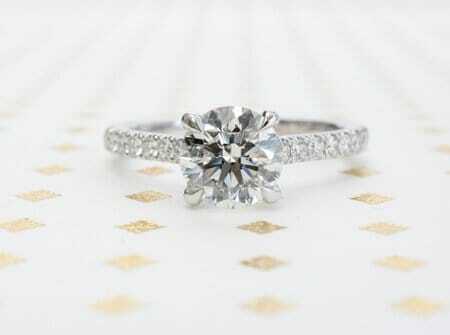 For the lovers of tradition, it may seem like a departure from history for a man to propose without a ring. However, historians have noted that popping the question with a ring is a relatively recent development. 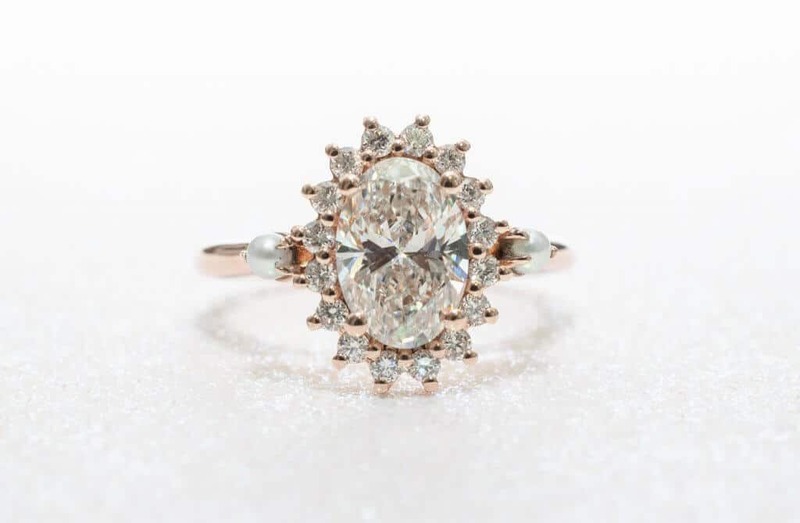 In the days of centuries past when proposals occurred after a few chaperoned weeks of courtship, it was common for a man to propose first and buy the ring later, given the odds that she may not accept. Whether he chooses to boldly surprise his love with a ring or sweetly consult her on the decision, there is plenty of room for romance. Some men even try to have the best of both worlds by proposing with “placeholder” rings so that the proposal will “pop,” but leaving the ultimate design to her. However it happens, each couple is different in choosing their rings.